BUSAN, South Korea--(BUSINESS WIRE)--The 2018 Busan One Asia Festival (BOF 2018), Asia’s No. 1 Hallyu (Korean Wave) fiesta, will start a nine-day run with a spectacular opening performance on Oct. 20. The performance titled “Hi Five Busan, BOF” is to kick off at 7 pm on Saturday, Oct. 20 in Busan Asiad Main Stadium, introducing K-content which express Busan. It will begin with a joint show by ‘Celeb Five,’ which is a group of five popular female comedians, and about 100 Busan citizens. Following performances will be introduced in relay by Busan-born model and actor Bae Jung-nam, artist Kim Chung-jae who’s in charge of directing the design of BOF 2018 BI and posters, and singers slated to come to the stage. The audience will be thrilled at dazzling gigs by leading K-pop musicians -- EXO, Wanna One, SEVENTEEN, NCT 127, Celeb Five, Mamamoo, EXID and GFriend -- and rising “idol” singers such as The Boyz, A.C.E and (G)I-dle. Afterwards, the opening performance will be telecast again. On the following day, Oct. 21, ‘BOF Park Concert’ will delight your ears and eyes with various genres of music favored by every generation. The picnic concert will open at 6 pm on a square of grass at Busan Citizens Park. Busan City Choir will perform in collaboration with Kingston Rudieska, a Korean ska band. The lineup includes K.will, Chung Ha, NU’EST W (a four-man band), Favorite (a six-girl group), and Cherry On Top (a four-girl group). For more information on BOF 2018, please visit its website (www.bof.or.kr) or Facebook (www.facebook.com/BusanOneAsiaFestival). 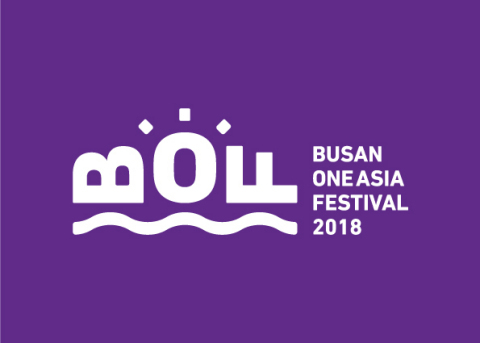 The 2018 Busan One Asia Festival (BOF 2018), Asia's No. 1 Hallyu fiesta, starts a nine-day run with a spectacular opening performance on Oct. 20.